It’s almost Warped Tour season, and sadly, it’s the last one (we’ll give you a minute to grab a tissue to wipe away those tears), but we need to get prepared. 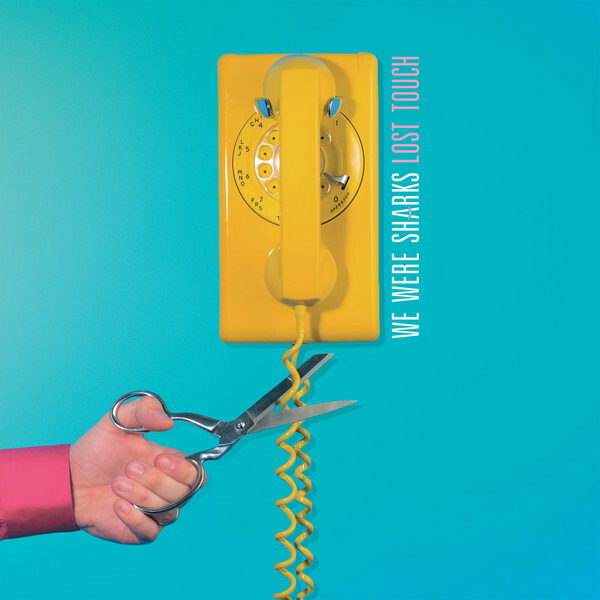 And what better way to prepare for the summer, for shorts and tank tops, than with loud, fast pop-punk like We Were Sharks’ Lost Touch. It shouldn’t take too long into opener “Beyond Repair” for your head top start bobbing along to the beat, a true harbinger of things to come on Lost Touch – relentlessly infectious pop-punk that lends itself more to the latter than the former (driving percussion fuels the hard-hitting “Hotel Beds” (‘you got me wrapped around your finger like a noose around my neck,’ Randy Frobel sings), the nostalgic “Ashley” which clocks in at 1:22, is built for speed with punchy riffs and juggernaut momentum, the call and response of “Sober” just begs to be heard in a live setting, catchy might be an understatement to describe “Never Looked Better,” the intro to closer “Always You” is one of the heaviest moments on the record (‘we both know I’m the one to blame, so I don’t blame you for moving on, I can’t stand it, I’m such a wreck, I can’t stand that you’re still in my head’). Broadside’s Ollie Baxter stops by on “Late Bloomer” for even more pop-punk goodness. Baxter and Froebel gel so well together that this is kind of like a cherry on top of the pop-punk sundae that is Lost Touch. It’s only March, but 2018 has already gifted us some quality pop-punk releases, and We Were Sharks’ Lost Touch is just the latest.